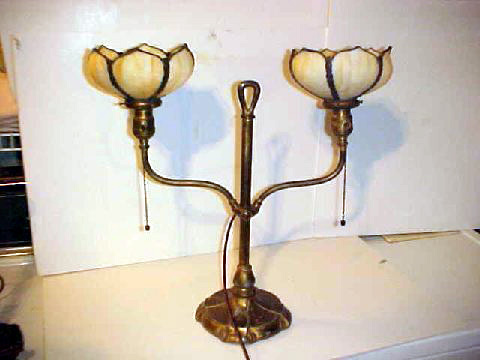 Here for your consideration is a rare and beautiful Handel double students lamp with tulip shades. 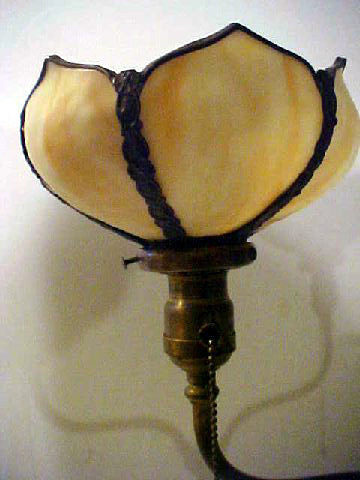 This is truly a rare and early lamp. 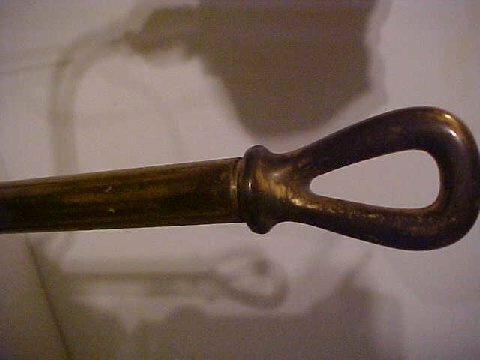 The base has a thumb wheel which allows the upper apparatus to move up and down on the shaft. Stands a tall 28" in the up position and is 21" wide. Each shade is signed Handel as is the base. Insized Handel and has the cloth Handel label and has all the original hardware. 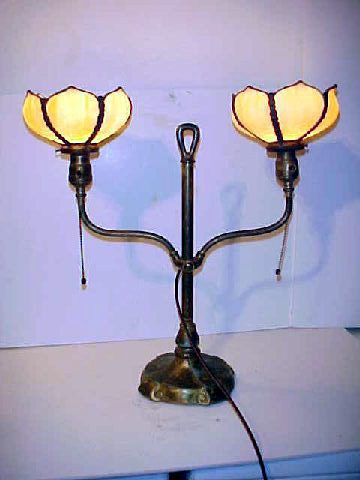 The patina is original and shows some expected wear. The glass is outstanding with the heavy texture that really fires up. All glass is original, free of any cracks. Provides nice, soft no glare light that bounces off the ceiling. The base is heavily weighted for stability. This rarity has a value of $3,200 and up. Has that pleasing Handel look that draws your eyes to it. Kind of soul satisfying. Little wonder, Handel hired the best of the best talented designers on the planet to execute his work. I would low ball it for $2,350. Plus shipping and insurance.